Our range of products include titanium grade 5 sheets and wire mesh. We are providing a comprehensive series of Titanium Grade 5 Sheets that meets on customer’s demand. 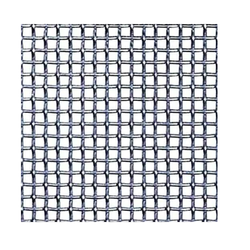 Product Description International Wire netting Industries are the leading Manufacturer & Exporter of Wire Mesh (Jali) from Coarse to Fine Apertures of Sieving & Screening. It can be made in fine apertures upto 600 Mesh, while upto a Maximum Wire Thickness of 16 MM made up of Stainless Steel, Spring Steel, Mild Steel, etc., as per the Customer's Sizes and specifications. we pragati metal corporation is manufactured as Per the BIS, BSS, ASTM, TYLER & DIN Norms & Standards. They are widely used in Chemical, Stone Crusher, Fertilizers, Sugar, Pharmaceuticals, Steel, Food Processing, Cement, Mineral, Construction, etc. We Maintain READY STOCK of Stainless Steel Wire Mesh upto 2500 MM Wide! We, International Wirenetting Industries (Certified Company), we are operating as the manufacturer and exporter of various types of Wire Mesh, Conveyor Belts & Industrial Screens. Our wide range of products include Stone Falling Wire Mesh, Industrial Wires. The products are highly regarded for being dimensionally accurate, resistant to corrosion and non reactant towards chemicals. Our products are made in sophisticated manufacturing unit, loaded with cutting edge technology machines for offering a wide assortment of meaningful goods to our customers. We source our raw materials from reliable vendors and check them thoroughly for assurance of quality using stringent parameters of quality control. Our warehousing unit is spacious, systematic and free from dust and moisture. It is efficient in storing bulk orders in their best original conditions and avoiding confusions during dispatch. We are known for meeting with deliveries within the stipulated time period, owing to our major transportation facility. Our team of professionals is diligent and dexterous in their departments. They have helped us emerge as a client-centered organization by making customized products for maintaining our clientele for longer durations. Owing to our ethical business practice, we are able to garner our clientele in various countries such as UAE, Bahrain, Kuwait, USA, Australia, Dubai, South Africa & Bangkok. Looking for Titanium Sheets ?